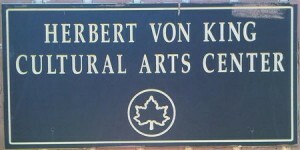 Last week, Our Time Press reported the closing of Von King Park Cultural Arts Center. In fact, as reported in local media, there were two closings. The first was the announcement that the center at 670 Lafayette Avenue, would close in the fall for needed repairs. That notice was followed by another at the advent of Earth Month; Parks Dept. stated that the center, that houses administrative and managerial staff, would close down abruptly due to a faulty fire alarm system that could cost lives if not repaired. In part, due to its long-term coverage of Von King Park activities for more than 10 years, and our own involvement as a media partner for those years, we know that the center also is a home to a community-centered, rotating strategic think tank that collaborates with individuals, residents, businesses, schools and community to develop mostly non-funded but impactful year-round programs and activities. Mr. Lemuel Mial, manager of Herbert Von King Park, a former longtime resident of Bedford-Stuyvesant and an heir to the late environmentalist Hattie Carthan, guided and oversaw the organization of those projects with special permission from the Parks Department. In the past few years, we have enjoyed a relationship with Von King Park coordinators who created the highly original Green Tree and Tree Talks literacy program cheered by parents and principals in the neighborhood where kids immersed themselves in ecology through music and reading under Von King’s towering Linden Place trees. The latter was covered extensively by Brooklyn News 12. While we understand the need for repairs to properties and buildings in distress and we support all efforts to provide safe conditions for our fellow citizens, we did feel (as a media partner) to the people of Central Brooklyn neighborhoods, a need to reach out to the community for any thoughts and concerns and then we reached out to the Parks Department and the Fire Department with separate questions from the community for each. Parks responded this week through spokesperson Maeri Ferguson. The FDNY’s communications representative, Elisheva, with whom we spoke, has not responded to the e-mailed questions as yet. The questions to each organization addressed their respective roles in the closing of the center with the purpose of clarity to the community beyond a flat announcement. Below are the community questions, followed by Parks Dept. responses on Tuesday, April 21. The answers appear to raise even more questions. Lead (Questions): What are the architectural, service and function plans for the CAC, and will the plan include spaces for some of the same programs that existed prior to the closure? Also, Von King Park CAC is located in a primarily African-American community, are plans on the drawing board to hire minority building contractors and to have majority-experienced construction workers, decision-makers and design-team experts as part of this process? 1. 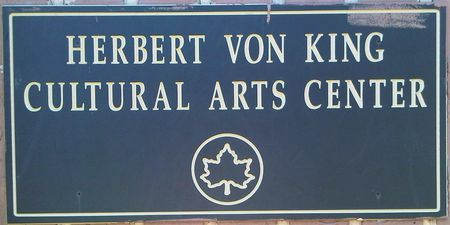 Was NYC Parks & Recreation aware there were hazardous conditions at Von King Park Cultural Arts Center, enough for it to be closed immediately? 2. Is it true that there are other Parks Dept. centers in Brooklyn and other boroughs that have more hazardous conditions than the VK CAC? If true, are they also being closed? 3. How long has the hazardous conditions existed at VK CAC? Please cite the years, months, etc.? Are the conditions due to aging or neglect — what are the causes of the conditions and how long have they been in existence? If lengthy — beyond a year — were lives in danger for that time? 4. What other buildings have been closed recently? What is the policy of the Parks Dept. in investigating buildings that house community and family programs? 5. Did the Parks Dept. initiate actions to alert or reach out to the community to let them know the center would be closed, or that it had been closed? 6. What was the timetable for this closure? And why will it take two years. Discuss the process, if possible. 7. Where is the money coming from to build a new structure and how much is it going to cost? 9. What are the VK Park resources that will be available for the remainder of this spring, the summer and during the fall? 10. Are there other plans on the drawing board related to Von King Park and the Cultural Arts Center of which the community should be aware? The above is the gist of our canvassing. Deadline for e-mailed answers: Saturday, April 18th morning for the story which will be out in the Thursday, April 23 paper. Community safety is Parks’ first priority, and although we have attempted to identify a means to repair the fire alarm system at the Von King Cultural Arts Center, we have discovered that it is not operationally feasible in light of the upcoming capital renovation project. In the interest of protecting the community, it has been decided that the center will close effective April 11th. The renovations are expected to begin in October, and will include a complete overhaul of the current fire alarm system. Parks will continue to serve the Bed-Stuy community by offering quality activities during the exciting renovations to the Von King Cultural Arts Center. As part of this preserved programming, there will be a host of recreational activities after school in April and May, on weekends in May and June, and weekdays in July and August. The programs will range from fitness classes and arts, to bike riding and games for all ages. · Parks met with Council member Cornegy, the community board and local community officials to notify them of the upcoming closure. 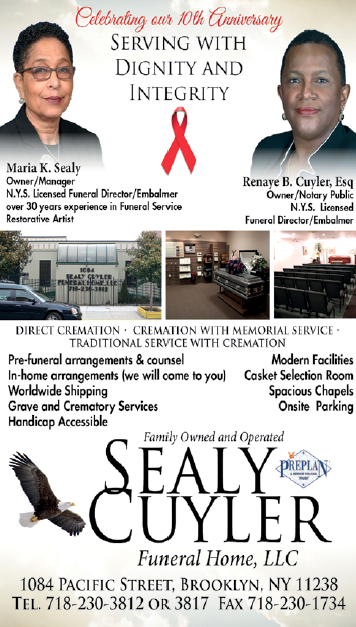 · The community board held a public meeting on April 6th to announce the closure. · Parks posted a closure notice on our Web site prior to the closure of the center. · Programming will still occur at Von King Park. · The park is in a Community Parks Initiative (CPI) zone, so it will host a Kids in Motion site with activities hosted by a Playground Associate Monday through Saturday afternoons until 6pm. · Kids in Motion gets children in NYC “off the couch” and into playgrounds to get fit while having fun. Sedentary children are likely to become sedentary adults, but by introducing children to physical activity in a fun, noncompetitive environment, Kids in Motion can help them achieve and maintain an active lifestyle through adulthood. Kids in Motion staff lead four to seven hours of free activities for children per day, including organized sports, games, fitness demos, guided walks, board games, water games and more! The facilities being renovated at this beloved neighborhood cultural center include the Eubie Blake Auditorium. This multipurpose room will be reconstructed with new wheelchair lifts, new seating, new stage, a new light and sound booth, and new equipment. New sprinklers will be installed on the lower level. Dressing rooms will be reassigned as electrical & pump rooms and ceramic firing kilns will be relocated. All new features will be designed to provide accessibility, meeting established Americans with Disabilities Act (ADA) design standards. Following receipt of Parks’ statement and background, Our Time Press replied that we will reach out to Tremaine Wright and Community Board 3 for their background. We also noted that Parks’ responses raised more questions than it answered. A second set of questions for clarity, this time from Our Time Press, asked: Will the wall illustrating beloved African-American musicians, artists and other icons, such as the great American pianist/composer Eubie Blake, be saved or demolished? Will Parks reach out to the (North Bedford-Stuyvesant) community for a Playground Associate or consider a former Von King worker to fill the position? We appreciate Parks’ response, and await a new one to these new questions. We also await a reply from the FDNY to our questions to them. In other news, DNAinfo.com reported on April 10 that City Councilman Robert Cornegy (36CD) has “secured $2.5 million to save the four-feet-deep pool at Jesse Owens Playground on Lafayette between Stuyvesant and Malcolm X Blvd”. According to DNAinfo reporter Carmen Bautista, the four-foot-deep “public amenity was in danger of being shut down due to lack of funding for proposed improvements from the city’s Parks Department”. “The current facility is in disrepair and not wheelchair-accessible, according to the Parks Department. The city’s $4.6 million allocated for upgrades to the 2.3-acre park would not cover construction to the pool. “Local residents, Community Board 3 and the leaders of the adjacent schools made it very clear that a renovated Jesse Owens Playground without a pool might have been beautiful but would not have provided the same recreational and health benefits to the community,” Cornegy said in a statement. “The additional capital funds from the councilman allows for a larger swimming facility as well as new handball courts and a synthetic turf area with a walking track,” according to Martin Maher, Brooklyn Chief of Staff for the Parks Department. Jesse Owens is the only playground in the community’s eastern end that has a pool on its premises. Community residents applauded the announced preservation at CB3’s meeting this month. “It is important that we maintain our playgrounds and parks and provide our community with active living options,” said CB3 Chair Tremaine Wright.